Technology has enabled many efficiencies and solutions to enhance multiple venues for both buyers and sellers. As a business owner, nothing plagues us more than the question of whether our business will be making progress by gaining market share with the utilization of these products. Will they be helpful in creating a more successful wholesale business, or do we play it safe and remain with the constant tradition that we believed has worked so well in the past? 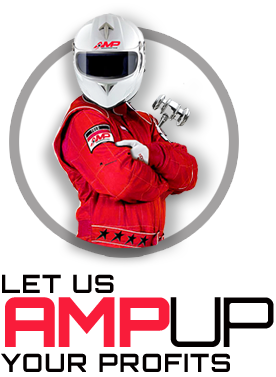 AMP Remarketing Corp’s founder Ken Benelli has been helping dealers in the automotive industry for over 25 years. His vision is to show dealers a more efficient method for marketing wholesale units to dealers while increasing their month retail sales. Additionally, AMP Remarketing shows dealers how to improve their pre-owned turn rate. This can result in material floor plan overhead savings. AMP’s product development was created with the collaboration of Jay Collier, a former GM of the AIADA and a former Toyota principal, and Steve Cone, a world leader in marketing and brand communications. Cone’s marketing expertise is highlighted by a successful career that includes creating the loyalty rewards programs for United’s Mileage Plus, Hyatt’s Gold Passport and Holiday Inns. His other accomplishments include successful projects with American Express, AARP, United Healthcare, FedEX and Citigroup to name a few. He also authored three books published by Wiley & Sons. Over the past three years, AMP Remarketing has been constructing an ecosystem by creating a selling system inclusive of multiple marketplaces for dealers to market their aged inventory and trades. This platform includes a base of 3,000 buyers and growing daily. By leveraging multiple selling venues on a 7 day Selling Continuum, AMP Remarketing has proven its concept by developing and test marketing selling strategies and processes in different markets to create a better mousetrap system that compliments both buyers and sellers. AMP Remarketing’s mission is to show dealers how to improve their turn rate by offering multiple wholesale alternatives to dealers outside of traditional wholesale methods. With this seamless integration of selling process’s, dealers can move both aged and wholesale trades more efficiently, all with greater profitability. Don’t delay. 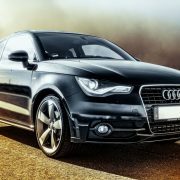 Call us today and take advantage of our free 30 day test drive. Let Us AMP Up Your Profits! There is no reason to delay in AMPING UP YOUR PROFITS!